SHOWS: TURIN, ITALY (FEBRUARY 22, 2019) (PETRONAS / CRUNCH COMMUNICATIONS - NO ARCHIVE. 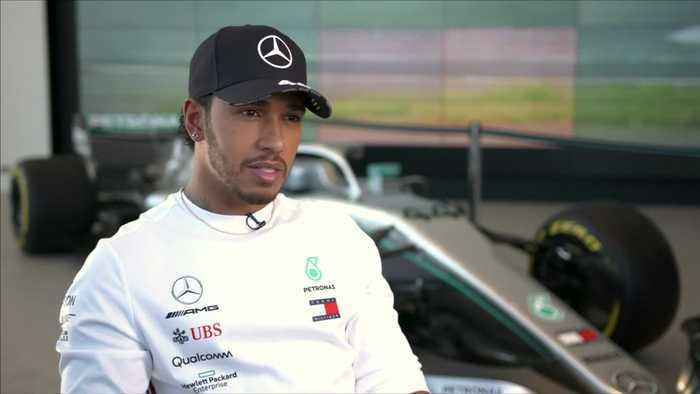 (SOUNDBITE) (English) FORMULA ONE WORLD CHAMPION LEWIS HAMILTON, SAYING: "You know there's 21 grand prixs and you can't have an off weekend, you have to deliver every single weekend to win this championship. It's now that competitive, that it's every weekend, you can't have a 'oh, that was a difficult weekend for me', you need to deliver each weekend. So from my point of view it's delivering at the most crucial moments like qualifying, third qualifying - first you have to get there but then delivering so you're at the front, it's the start of the race - not losing your cool, it's during the race whilst you're under attack or attacking, it's managing your tyres. There's so many aspects throughout the whole weekend and that goes on throughout the year." STORY: Mercedes' Formula One world champion Lewis Hamilton said consistency will be a key factor in his pursuit of a sixth world title in 2019. The Brit, who won his fifth title last year to equal the number of titles held by Argentina's 1950s star Juan Manuel Fangio, is eyeing the record seven titles held by Michael Schumacher. The new season begins next month in March with the first race scheduled for Melbourne.